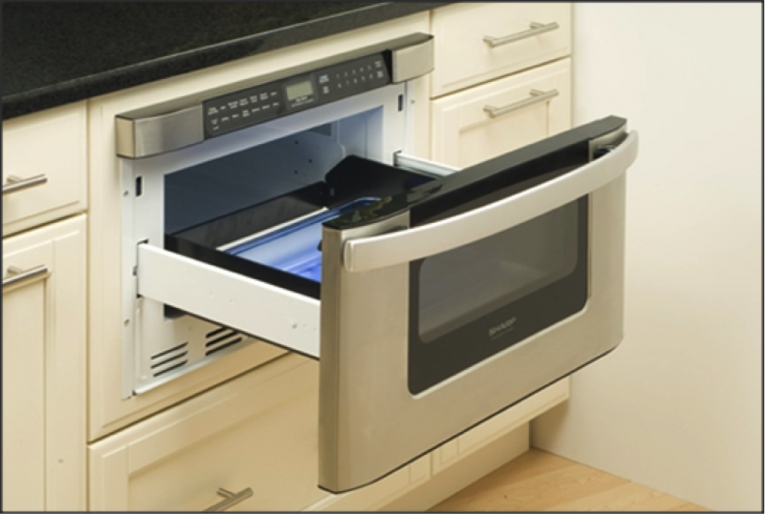 ​Innovative thinking led to the world's first Microwave Drawer™ Oven, an appliance that has helped revolutionize kitchen design and microwave oven placement. Now Sharp introduces the next generation of this successful appliance – larger, sleeker and more accessible than ever. The new KB-6524P series fits in the same space as other Sharp 24-inch models, yet it's larger 1.2 cubic feet interior is tall enough to hold a 20 oz. cup from your favorite take-out coffee store. Plus, there are two convenient ways to open or close the drawer – either pull or push the Easy Open handle or simply touch the Auto-Touch™ control panel.